Washington Monthly | Quick Takes: Will Stormy Tell All? Quick Takes: Will Stormy Tell All? IOW, she has text messages, photos and/or videos…oh my! * Robert Mueller is apparently done investigating Trump for obstruction of justice. That’s because Mueller may calculate that if he tries to bring charges in the obstruction case — the part that may hit closest to Trump personally — witnesses may become less cooperative in other parts of the probe, or the president may move to shut it down altogether. * Eric Levitz makes a great point: any deal Trump could reach to de-nuclearize North Korea (don’t hold your breath for that one) would be subject to the same criticisms he’s voiced about the Iran nuclear agreement..only more so. * Now that Steve Bannon isn’t running a political campaign or working in the White House, he obviously feels free to let his racist flag fly. 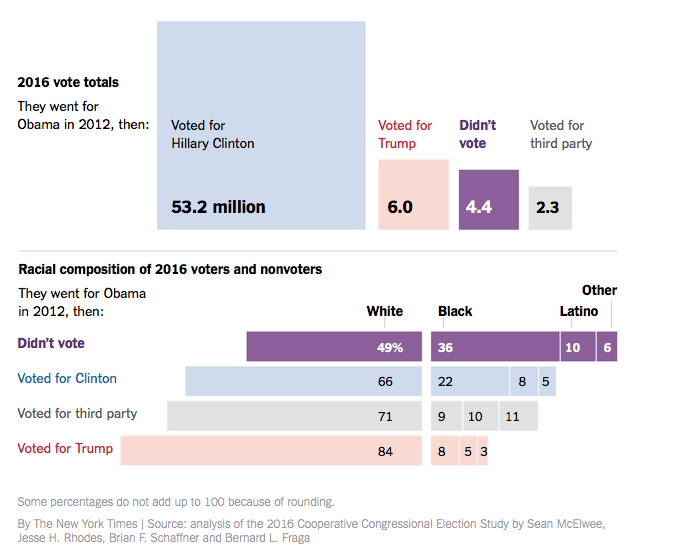 * Sean McElwee, Jesse Rhodes, Brian Schaffner and Bernard Fraga go in search of the four million missing Obama voters. 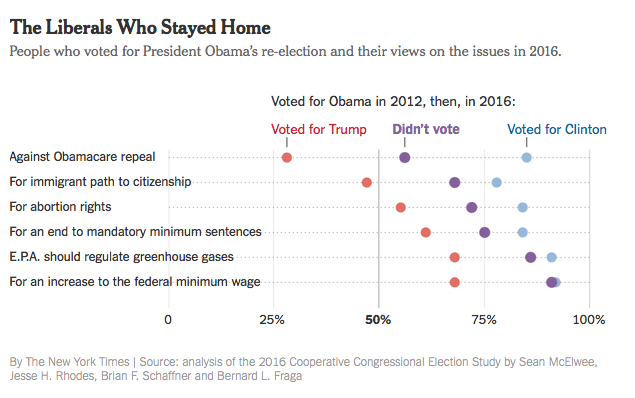 Our analysis shows that while 9 percent of Obama 2012 voters went for Mr. Trump in 2016, 7 percent — that’s more than four million missing voters — stayed home. * Michael Gerson takes a deep dive into the history of white evangelicalism to explain how they came to be so loyal to Trump. * Finally, I’m not one who is hoping that Joe Biden will run for president again. Nevertheless, here is a great example of what “a distinctly Christian public witness” looks like.